SALEM, Ohio – “I was shy growing up and judging got me out of my shell — helped me get my dream job,” said Erin Lucci, who now works for Certified Angus Beef. The knowledge used in placing a class of heifers transfers to careers in the agricultural industry and beyond, said Cambell Parrish, Ohio Beef Expo junior show coordinator. 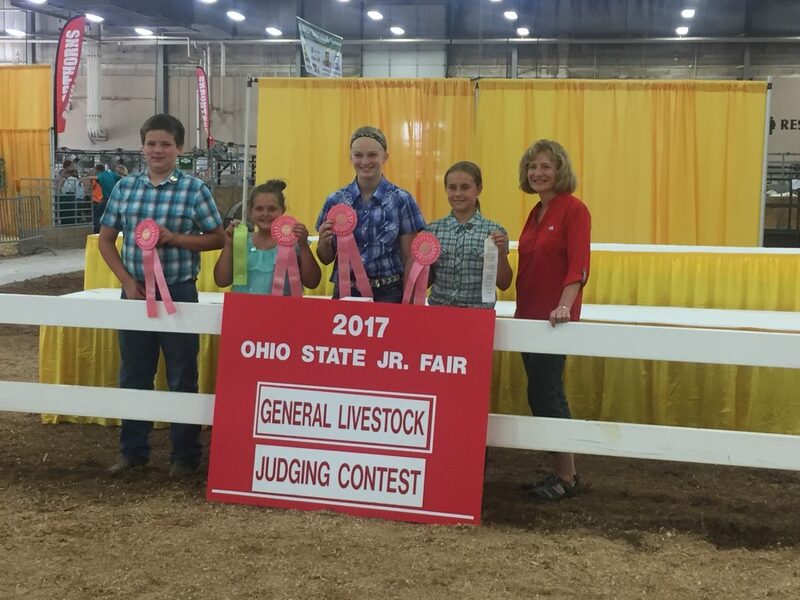 The Ohio Beef Expo hosts an annual judging contest; this year it’s March 16, for youth 8-18. Last year, organizers moved the contest from the Saturday of expo to Friday. Even with the move and participants having to take off school and coaches and parents work, they had more than 460 participants. This year, Parrish is expecting more than 500 youth to participate. “The benefits of getting involved at a young age is giving them a sense of responsibility and understanding animal selection,” he said. 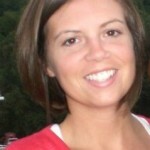 Parrish is also the director of public relations and consumer marketing at the Ohio Cattlemen’s Association. Twenty volunteers help run the contest each year. Parrish said people like Jenna Barbour of West Salem, the Ohio State livestock judging team, Masa Williams with OSU Extension, make it all possible, along with the Wood County Cattlemen, which provides lunch for the participants. Along with the hundreds of participants are the coaches, giving their time, resources and energy throughout the year to the judging teams. Lucci is now the coach of the Wayne County 4-H teams. Originally from Maryland, she was on the livestock judging team at the University of Missouri. When she moved to Wooster to take her dream job at Certified Angus Beef, she stared looking for ways to get involved in the community. She discovered a 4-H livestock judging team didn’t exist and rekindled the team with some help. 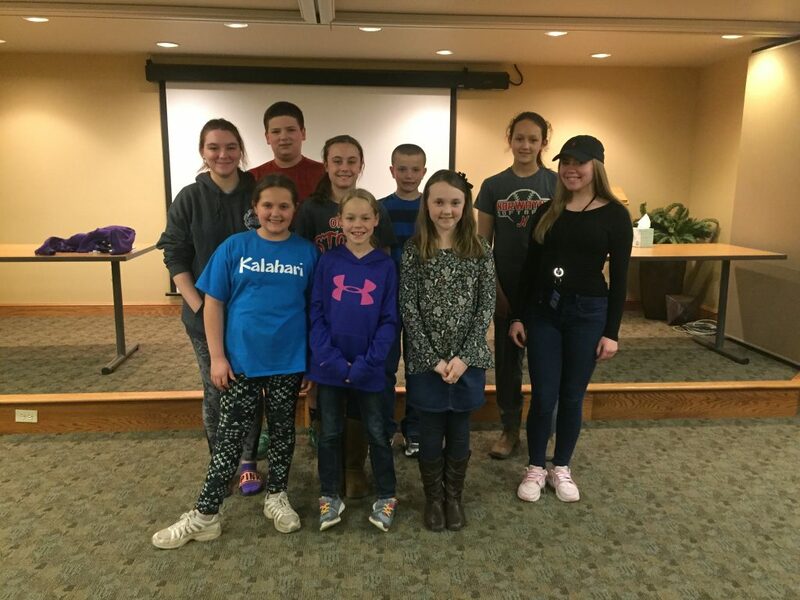 “The Wayne County Extension office has been very helpful in helping us get started, helping to pay for travel, providing judging videos for training and just supporting the kids,” she said. In three years, she has grown the team from scratch to around 20 kids showing up each week for their hour-and-a-half practice, and she is working to put together a livestock judging contest at the county fairgrounds this year. The team practices at Certified Angus Beef during the cold weather, but get out to local farms the rest of the year, Lucci said. They judge cattle, sheep, swine and goats. “We usually do a different species each week at practice, but lately we’ve been focusing on beef cattle with the expo coming up,” she said. The team learns to judge the animal’s live performance, data and how to answer questions about the classes of animals. They have to be knowledgeable about the species to place the class, she said. They just participated in a judging contest at OSU’s Agricultural Technical Institute Feb. 24. She was quite proud of their finish, with junior contestants earning first and second place. Typically, youth judging contest junior participants are from 8 to 13 years old and the senior contest is for ages 14-18. One element the Beef Expo youth judging contest doesn’t incorporate is giving reasons. “At the state fair they have to give oral reasons — it is a public speaking thing, a confidence thing,” she said, adding that it prepares the youth for job interviews, teaches sportsmanship and helps them with logical reasoning and defending it. Lucci plans to have two junior teams representing Wayne County this year at the Ohio Beef Expo.